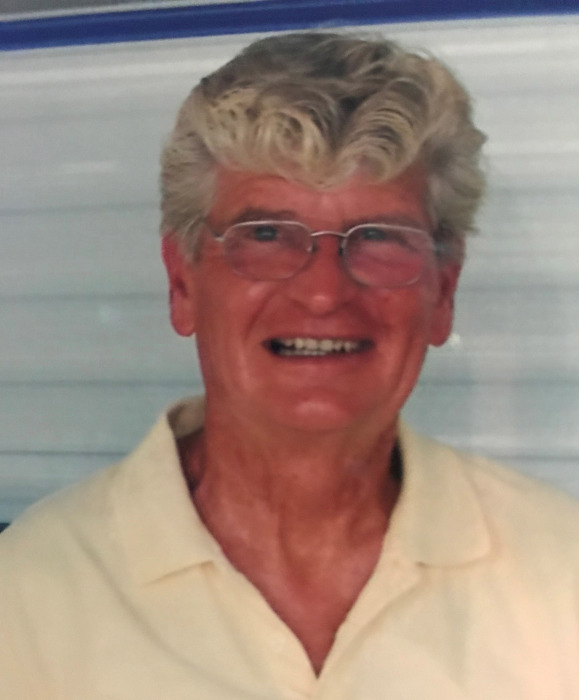 Clifton E. “Buck” Vicars, 77 of Terre Haute, passed away at 8:55 AM on Monday, April 8, 2019 at Terre Haute Union Hospital. He was born in Vigo County on May 7, 1941 to Herschel Vicars and Nina Shuman Vicars. Buck retired as a conductor for Conrail after 36 years of service. He was a member of the West Terre Haute Masonic Lodge # 687 F & AM for over 50 years. He loved his family as they were the most important thing in his life. Buck is survived by his wife of 57 years, Kay Hill Vicars. He is also survived by their three sons; Cleve Vicars (Dee), Mike Vicars (Ruth), and Jeff Vicars (Stephanie), as well as their grandchildren; Ashley Kimbrell (Tyler), Ryan Vicars (Mackeala), Jacob Vicars, Caitlain Fogle (Jon), Rachel Mixell (Tyler), Austin Vicars, and Kaylah Vicars. He is also survived by their great grandchildren; Carson Vicars, Aubrey Vicars, Kohen Vicars, Kreed Vicars, Harrison Kimbrell, (plus two unborn great grandsons), his brother, Joe Vicars (Marie), his sister, Darlene Parker (Denny), his dog Rudy and several nieces and nephews. He was preceded in death by his parents, his brother Herschel Vicars Jr., his mother-in-law and father-in-law, Ella and Bob Hill, and nephews. Funeral services will be held at Fitzpatrick Funeral Home, 220 North 3rd St., West Terre Haute, IN on Sunday, April 14, 2019 at 1:30 PM, with Rev. Dennis Leek officiating. Burial will follow at New Providence Cemetery. Visitation is scheduled for Saturday from 2:00 – 6:00 PM at the funeral home with Masonic services by West Terre Haute Masonic Lodge # 687 at 5:00 PM, and again on Sunday from 11:30 AM -1:30 PM.